I’m Mercedes Kirkel. I’m an award-winning author and channel for MARY MAGDALENE and YESHUA, and other Beings of Light. My passion is to help people connect with higher guidance and become the magnificent person you came here to be. I have a treasure chest of enlightened help that I love to share, to support you in your human and spiritual growth. Would you like to meet Mary Magdalene, Yeshua, Mother Mary, Isis, or Archangel Michael and receive their guidance? Do you want to connect with your higher-self and get help making life-decisions? 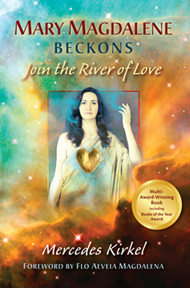 Would you like to experience more love and light in your relationships and daily life? Are you wanting to move forward into higher dimensions of being? Do you want to experience the Christ-Magdalene Love? I CAN HELP WITH ALL THIS… and more! Guidance from Mary Magdalene, Yeshua, and Other Beings of Light. Communicate with Mary Magdalene, Yeshua (Jesus), Mother Mary, Isis, or Archangel Michael for clarity and direction that’s specifically tailored for you. Higher-Self Session. Connect with your higher self and receive help making life-decisions. Heart Coaching. 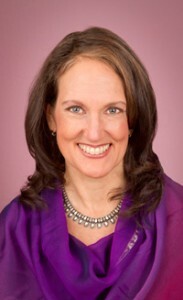 Coaching sessions from Mercedes to support you in creating the life and relationships you desire. Spiritual Mentoring. Personalized instruction from Mercedes for living more fully as light and love. Magdalene Heart Path—Video Course. Step-by-step instruction to shift from living in your mind to living in your heart. Ascension School—Online Program. Advanced training to activate your light-body and become a 4D Manifestor. Magdalene-Christ Love Retreats — Life-changing immersions in Mary Magdalene and Yeshua’s love and consciousness. Let me assist you in transforming into the magnificent person you came here to be! I look forward to supporting you in your journey into the heart!